After the 2016 election of Donald Trump, Van Jones claimed it was a “whitelash” against a black president. You’d have thought that he was upset because the candidate endorsed by Obama was not elected. By first withdrawing military forces from the Korean peninsula and letting the two halves decide on their own what the terms of unification should be. American military presence is the main hindrance to peace in that region. Same for Okinawa. Inspite of how much they hate Trump, the mainstream media in the US always loves a good war. Much of South Korean population lives in the capital Seoul. The city can be enveloped in North Korea’s low-tech saturation artillery fire and the entire population can be liquidated in under half an hour. Kim Jong Un and his band of Communists should be given a blanket pardon so that the unification process can move forward. They can anyway move to China. Even though “electronic” voting machines were used, it took weeks, instead of a day, to finish voting. After the elections in Punjab, the American embassy seems to have told Modi that most votes have been cast against the BJP-SAD coalition. To avoid being blamed for the loss and expecting the same in UP elections, Modi tried to put his cabinet detractors on the defensive. He asked for details of tours if any conducted by them to raise support for demonetization. The reptilians seems to have told Modi, they weren’t going reverse the Punjab verdict because the incumbents were thoroughly hated. It wasn’t worth the effort. In Uttar Pradesh, the Congress made the mistake of allying with another hated incumbent party and that created scope for getting away with tampering the foreign-made EVMs chips. Unfortunately for BJP, their vote bank was totally gone. Not a problem, said the reptilians. Modi had done well with treasonous demonetization and national ID swindles and had won their approval. Like a treat for a good dog, the reptilians seem to have initiated largescale tampering of the EVMs. Even before the voting was over, Modi let the cat out of the bag with his “electric [electronic] shocks” statement (https://moralvolcano.wordpress.com/2017/03/06/modi-unwittingly-reveals-electronic-tampering-of-voting-machines-by-us-embassy/). Modi got votes even in Muslim-majority areas. If they could get away with vote tampering in the general elections, the reptilians could effect the same in a handful of states too. (https://moralvolcano.wordpress.com/2014/05/17/want-proof-that-rothschild-evm-s-elected-modi-rather-than-people-of-india-bjp-sweeps-assam/) But, how can they do that after after demonetization?… Remember, Uttar Pradesh is like Bihar a state where huge numbers of casual laborers had become jobless and/or had to return from other states because of demonetization. Not a problem! In America, the reptilians feared an armed revolt after Trump said he will not accept the result if it went against him. Yet, even though they let him win, they gave the popular vote to Schmillary Clinton. In comparison, India is a docile country where the population does not have guns to challenge the government. Have you noticed something else? Amazing how that schmuck Modi has so suddenly overcome his own doubts and become more eloquent on demonetization than before. Modi is even calling for more humility in his party. That’s hilarious! 2/2 – legislators. No need for #AADHAR or #PAN. Everything about this government is fake. It wins fake elections. It fakes GDP numbers. It gave fake reasons for demonetization – to reduce India’s gold demand (reptilians are running out of physical gold and had to unwind massive long positions in crude oil) and to give payments banks-led cashless transactions a lift up (very few licenses were picked up). They wouldn’t admit that they didn’t have the brains to smoothly & efficiently implement a demonetization plan. You know they are stupid because they are still refusing to print the 1000 rupee note, which is an important denomination in terms of transaction volumes. All they had was the willingness to accept orders from abroad. As a result, the economy is stuck in reverse gear. Most people are spending only on basics and cut back on discretionary spending. The good thing however is that digital transactions are going to fall and the fantastic dream of a cashless economy will revert back once enough cash percolates into the economy. My people will return to their old ways. Modi is daydreaming and believing in his own lies. That is why RBI refuses to reveal details about returned currency notes. More than expected amount has been returned to banks and RBI will most likely falsify those numbers and justify the stupid/useless exercise. If a US court can stop Donald Trump’s temporary defensive order against aliens, then courts can also stop offensive actions such as humanitarian bombing and war too! Go ahead and set a precedent for peace and freedom. Donald Trumps is peeved that his executive orders have been questioned by courts. He is wrong. Under the US constitution, all executive actions can be reviewed by judiciary. However, US courts have always chosen not to interfere with executive actions if they were related to national security. This reticence by the US judiciary was exploited to the hilt by Bush and Obama administrations. US courts have refrained from interfering with issues ranging from Bush’s unilateral war against unknown terrorists in what are now called for the first time as “Muslim-majority countries” to Obama’s pervasive NSA surveillance and secret roving FBI national security letters. Even when such executive actions suffered from grave unconstitutionality and impinged on the lives and liberties of US citizens and aliens, US courts have not intervened with a stay order. Now, if the appeals court decides to stop Trump’s innocuous temporary defensive action against aliens, then that would also imply that future US presidents can also be stopped from going to war or conduct humanitarian bombing. All that peaceniks would have to do is simply file a brief at a local US Federal court. Privacy advocates can also stop Obama’s executive actions that have justified indiscriminate NSA surveillance. 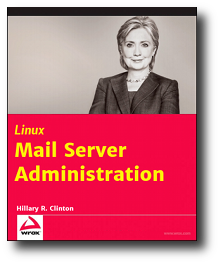 Technology companies can also get rid of the FBI national security letters. Hurray! Oxford grammar has dropped interjections from parts of speech! Have Britons really become a nation of drunks in permanent stupor-hangover, as some news reports allege? It all started with the question what a subject and a predicate were. That’s how state board books in India start with English grammar. My new Oxford grammar book was of no help. 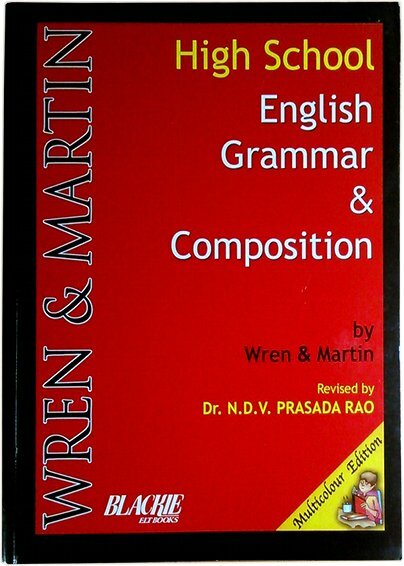 So, I went and bought a copy of the venerable-old Wren and Martin “High School English Grammar & Composition” today. This is a book that has been in use for several decades by students of English in India and other British colonies. It is like Dondo Moden French Course, which is a humble textbook published by Oxford University Press and used all over the world to learn/teach French for over a century. When I was in school, I never owned one but my friends used it. Even though I was surprised they would spend actual money to buy a grammar book, I found the book worthwhile before exams as it had more grammar exercises than the one prescribed by our school syllabus. My friends also bought the key to the book and it was useful to cross-check our answers! 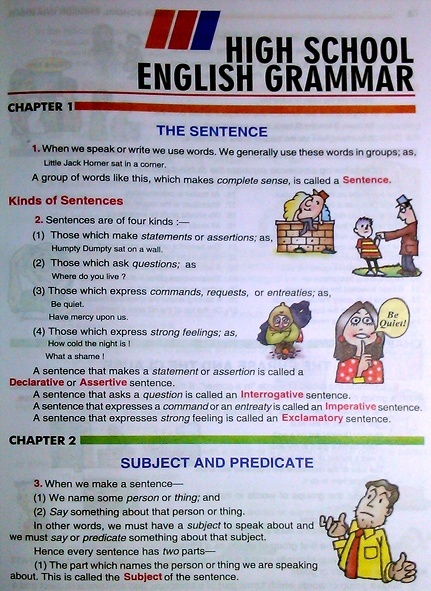 The Oxford grammar book bears no resemblance to the grammar used in Indian school textbooks. Oxford grammar seems to be an example of the control-freak mentality that has ruined several disciplines. The US Department of Defense would call a pencil as “portable handheld graphite communications inscriber”. They obtained a permanent place in management books by famously ordering toilet seats for $600 per piece. One of their studies revealed that 50% of their software projects were never delivered and one-third of delivered projects were never used. These inefficient and corrupt fools then bypassed the whole issue by asking Carnegie Mellon University for a solution. Those morons came out with SEI CMM (Software Engineering Institute Capability Maturity Model). This was adopted by industry without question and for years experienced project managers were denied jobs because they did not have training or experience in SEI-CMMM. It is only in recent times that people have realized that the whole thing was stupid and a waste of everyone’s time. Even before they got rid of this ghost, it was periodically harmed by hysteria such as agile, stack ranking, frameworks, and other common-sense alternatives. 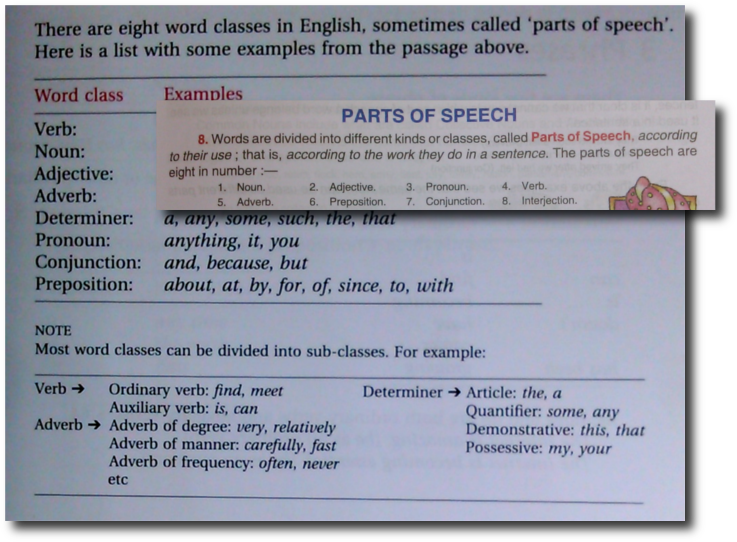 In my CBSE high school grammar book, there were 9 parts of speech and they began with the articles a and an. In the W&M, (at least it seems to be now that) articles are part of adjectives. That’s fine because they also describe a noun just like other adjectives. In the Oxford grammar book, interjections have been eliminated, and articles and other forms of adjectives have subsumed in to what are called as determiners. Ouch! Why did they even bother? All of these so-called determiners are just adjectives! Anyway, S Chand says it is the oldest and biggest publisher of educational books in India. (Textbooks in India are bigger than other forms of publishing.) I am not sure if S Chand is as big it once was. There are definitely a whole lot more publishers now. The reason I went for W&M was the poor language and grammar that I found in the state board school textbooks. Using the Oxford grammar book was out of question. In India, W&M English rules. The Oxford book tried to be easy while being detailed but failed in both. W&M is simple and makes sense. So, why are schools using these substandard textbooks? It is a long story. When I was in school, we had English reader and non-detailed books published by Orient Longman and Gulmohar. (After our school got affiliated with CBSE, we switched to several NCERT/CBSE books.) After Longman was purchased by Pearson, Orient Longman changed name to Orient Blackswan. Gulmohar is now an imprint of Orient Blackswan. I was also looking for a maths textbook and found that prices from big publishers were way above what lower middle class people can afford. (The textbooks are mainly targeted at CBSE and ICSE students.) The substandard English textbook used by my kid’s school as part of Karnataka State board is priced at just 70-80 even though it is in full color. The Orient Blackswan textbooks are above 200 and I am not even sure if it was in color. I did find a better quality maths textbook by one publisher Bharti Bhawan priced at 100 but their books are devoid of color. The authors have retained the copyright with them and the publisher has not even have left their website or email address in the book. The problem with these publishers may be that they print the books in Delhi where costs could be high. There is only one place in India where you can publish high-quality books in full color at a very very low price and that is Sivakasi, the place in Tamil Nadu from where all the Diwali fireworks come. So, my advice to all these Delhi publishers is to visit the factories in Sivakasi and ask Delhi printers to match the price. Established big-name Indian textbook publishers should also focus on state board student textbook market. They need to first cut their price. Sivakasi can help with that. Pearson has been buying up all independent textbook and educational publishers. There are very few independent educational publishers left. (Have you noticed beloved Camlin stationery company is now part-owned by Mitsubishi Pencil) They have also put their people in the United Nations and are imposing their coursework on all over the world. Bill Gates has also jumped on their bandwagon and want all school teaching to be transferred online (on Microsoft Azure cloud running Pearson e-learning, of course). It is a bad omen if the fox is licking the lambs, as Navjot Sidhu once said. Pearson-Microsoft’s product is called Common Core and this is being imposed on schools all over the United States by the Obama government. The Common Core system is also being imposed on schools all over the world via the United Nations. People from Pearson-Microsoft meet the top officials of school boards and their Common Core curriculum gets imposed down the line without any consultation. Parents, teachers, students, and school administrators have all bitterly complained about the Pearson-Microsoft product but the relentless assault on the traditional form of school learning goes on unabated. The Common Core curriculum has been faulted for dumbing down education, overloading school administration with non-teaching staff while pushing more computer sales, software licenses and cloud contracts. Pearson is so sure about its education market fortunes that their are shedding Financial Times newspaper and Economist magazine (Economist claims it is a newspaper on the cover) to focus on its core incompetency. Don’t think India will not fall under their global sweep. Already, the former DMK government has taken the first steps in Tamil Nadu. They called it Samacheer Kalvi, which is the exact Tamil translation for Common Core Education. How come American Blacks ignored Martin Luther King’s assassins but pursued the Confederate flag down? NGOs and assorted pressure groups create artificial issues to divert people’s attention from more dire threats facing them. The protests and the celebrations are all meant for TV and press cameras. Blacks have no real power in America. Sensex will crash in April when corporate results are released! Over-extended foreign herds aka FIIs will finally sell! I hope to God that these sentiment-driven fools, always talking about “global cues,” lose everything. Top Indian companies have had negative growth for three quarters but the Modi wave sentiment had to be kept up. When disappointing numbers come in, FIIs will not be able to justify their purchases come for another quarter as well. The party is over. DIIs, particularly those of PSUs, should sell now. Finance Ministry will definitely ask you to go back in and bail out the FIIs. If you sell now, you will have some money left. Anyone invested in equity mutual funds will see negative growth. For 3 consecutive quarters, Indian companies showed negative growth. Sensex has zoomed in the opposite direction. Back home, FIIs are facing a rout. US companies have lost all manufacturing to China. Apart from pizza deliveries, healthcare, government and war machine, US has no GDP worth the name. UPDATE (31-March-2015): Sensex ended FY15 with 25% gain. The sheeple think this is a good thing. And, yesterday, DIIs were buying and FIIs were selling – as always herd-like. Many of these DIIs such as UTI/LIC/SBI are usually acting at the behest of the Finance Ministry. In the name of stabilizing the market, they are bailing out FIIs. Shouldn’t have been very different today either. We will see in April. Anyone who has invested in mutual funds knows that Franklin Templeton is one of the safest bets. They are unlike all other players. They do not show a follow-the-herd or become part of any investment frenzy. They pick solid stocks, wait patiently and make a profit over the long term. On the international level, it seems to be case. It is known as an astute and conservative player. Well, apparently not. They have invested billions in Ukrain sovereign bonds. Ukraine’s Russian-dominated eastern half where most of the industry is located has rebelled and Ukraine is unlike to pay back Franklin Templeton and other creditors anytime soon. 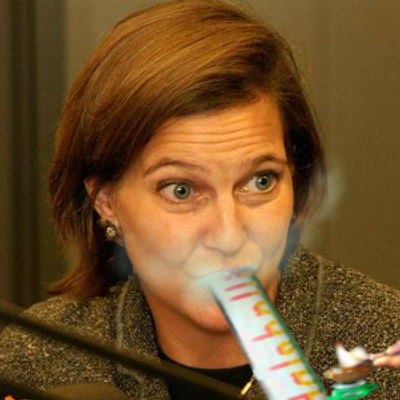 The Kagan clan with the Victoria Nuland/Noodleman has been busy stoking war in Ukraine and trying to engage it in a larger war with Russia. And, a Rothschild banking firm is trying to get new creditors (aka total losers) to fund the wheat-growing eastern half of Ukriane run by the chocolate king Poroshenko. Not many people have shown willingness to Rothschilds for providing new funding for Ukraine. Russia has already said that it does not want to break up Ukraine. The correct thing to do would be make peace with the rebels and give Eastern Ukraine more autonomy over its affairs. This would put Ukraine’s economy back on its feet. Instead of that, the Kagan-Noodleman clan has been let loose in Ukraine. This has made all prospects of peace impossible. The Rothschilds are unlikely to take a hit in the Ukraine bonds. They say they want others to join them but they are “merchant bankers” not the creditors. They take a commission whichever way the money goes and each time. Anyone holding Ukraine bonds should tell the Rothschilds to get the Kagan-Noodleman operatives out and make peace with Russia. (Rothschild looks to organize Ukraine bondholders ahead of talks; 6 March 2015; http://in.reuters.com/article/2015/03/05/ukraine-debt-rothschild-idINL1N0W72TL20150305) Russia more than anybody else is seeking a way out of the Ukraine crisis. It is the Kagan klan that is proving to be the problem. Americans should be happy that he is not a total sellout. At least he is asking the warmongers to demonstrate evidence of public support before launching a war. The warmongers tried to frame Syria in a flouride “chemical attack” but only ended up removing any distinction between the clandestinely armed ISIS and Syrian rebels. 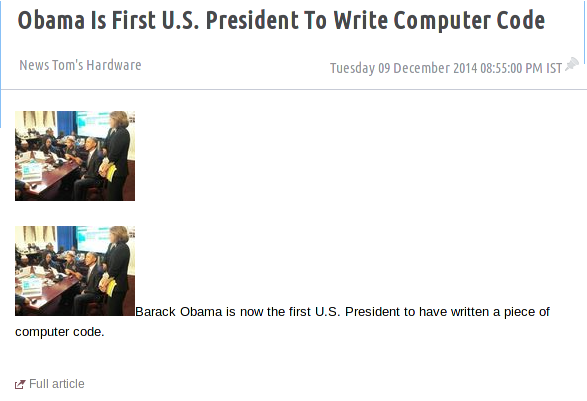 A win for Obama. At least, he is using his brain unlike Modi who is being taken for a fool by his “technocrat” coterie.